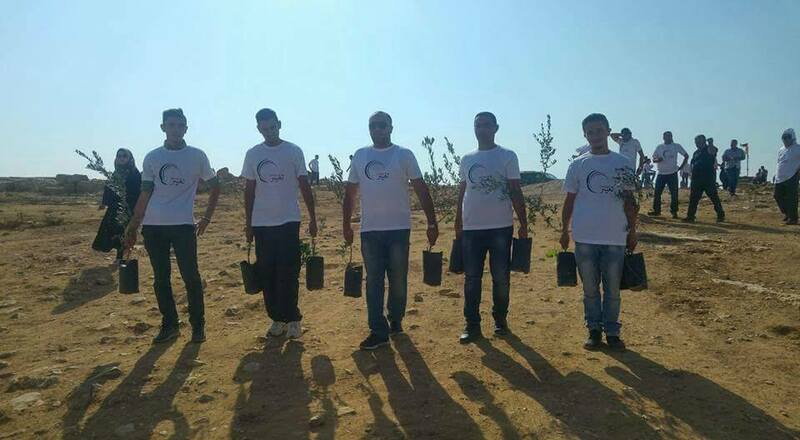 Roots is a unique bi-national initiative with a network of Israeli residents of the Gush Etsion settlements and Palestinians from neighboring towns and villages who have come to see each other as the partners who both need to make changes to end their conflict. Roots’ mission is to enhance dialogue, transformation and bridge-building and it is based on a mutual recognition of each People’s connection to the Land. Roots is about developing understanding and solidarity despite ideological differences. Roots is a place where local peoples can take responsibility. Their work is aimed at challenging the assumptions their communities hold about each other, building trust and creating a new discourse around the conflict in their respective societies. This is a grassroots and local model for making change — from the bottom up. Ali Abu Awwad founded also a national peace movement at the heart of Palestinian civil society : Taghyeer/Change. 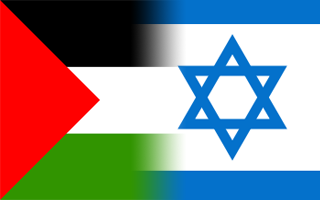 The Taghyeer (Change) Palestinian National Nonviolence civil society movement engages Palestinians to come together for both social change and self-development of their society and to achieve Palestinian national rights. 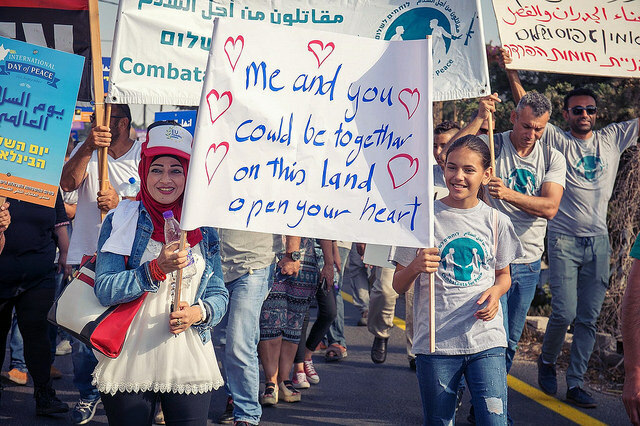 Taghyeer ‘s mission is to empower Palestinians to become decision-makers and agents of their own liberation by transcending the limiting narrative of victimhood and anger : to manage that anger, rather than being controlled by it, and channel it towards building the future in a constructive way. WWP is and broad-based Israeli grassroots movement, with women from the Right, Center and Left, of the political spectrum, whether Jewish, Arab Muslim or Christian, religious and secular womem.Today they are over 40 000 members. They hold many activities all over Israel, including meetings at the Knesset with Knesset members. They are known for their huge marches, in demand of a return to the negociation table. 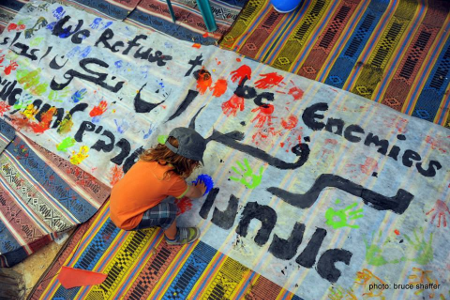 Combatants for Peace was founded by ex-Israeli military and former Palestinian fighters, putting aside their weapons to show “there is another way” and standing together as a bi-national community which is based on non-violence ! 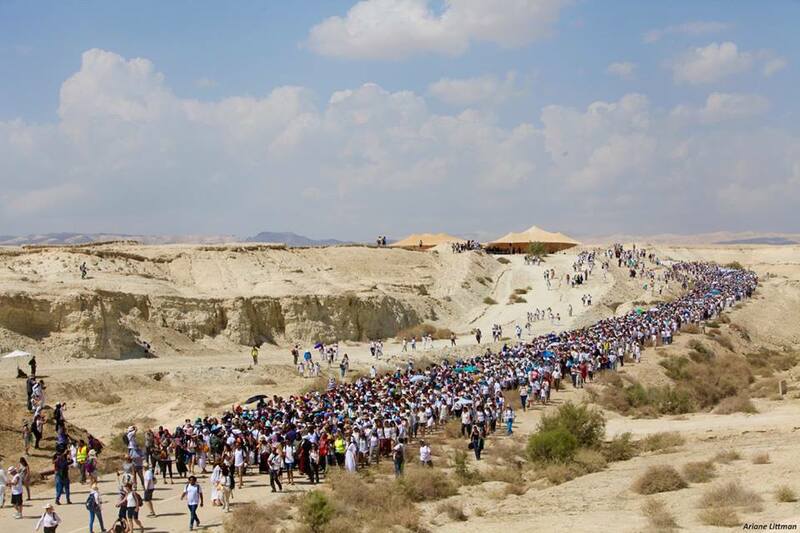 Their Alternative Memorial Day in Tel-Aviv, which brings together more and more participants every year to hear bereaved Palestinian and Israeli speakers, might one day become a mainstream event. Two States, One Homeland is a movement with a diverse group of Israeli and Palestinian intellectuals, lawyers, geographers, and all sort of thinkers – whether conservatives or revolutionaries – who put their brains together to think “out of the box” and find a more just, up-to-date and realistic version of the Two-States Solution : Two sovereign States, 2 flags, 2 governments, with a freedom of movement in all the land and with several joint institutions within the framework of a confederation. Polyphony Foundation was co-founded by Nabeel Abboud-Ashkar, a classically trained violinist who serves as Executive Director of Polyphony Education in Israel. Polyphony has created programs where young Arabs and Jews in Israel can come together through classical music. It is a model for global cooperation based on cultural exchange and education, communication and partnership, in the belief that creating new channels for engagement is essential to sustaining a just and peaceful society. Polyphony programs reach more than 9000 Arab and Jewish youth on annual bases, and provide training and employment for over one hundred teachers in Israel. 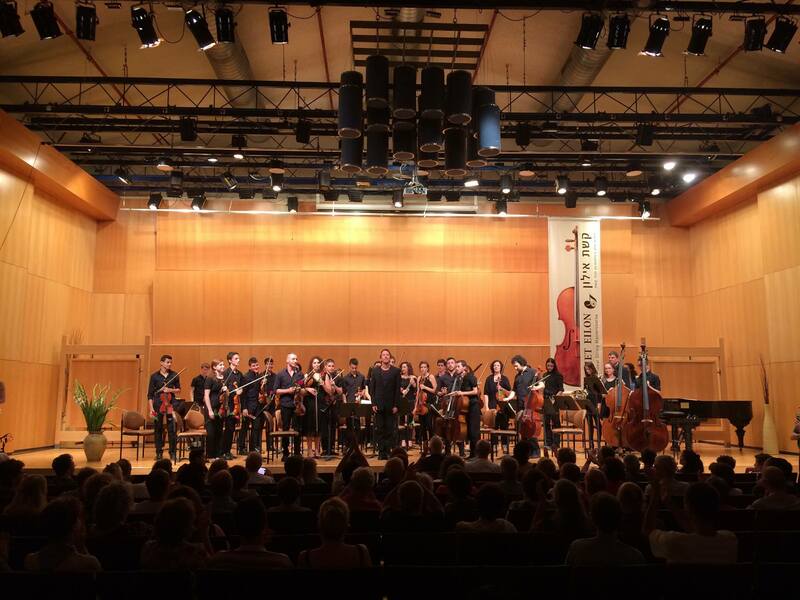 The Keshet Eilon Music Center, founded in 1990 at Kibbutz Eilon on Israel’s northern border, is devoted to training and promoting young violinists from Israel and throughout the world who are intent on attaining the highest musical level. Its faculty consists of internationally renowned violin masters from Israel and the rest of the world. The Keshet Eilon credo is that music, one of the eternal symbols of humanity, can serve as a bridge between religions, peoples and nations. A strategic partnership has developed between Polyphony Foundation and Keshet Eilon Music Center. This partnership is based on the shared understanding that Music and the Arts have the power to transcend long existing cultural and social boundaries between the Arab and Jewish communities in Israel. Driven by this belief, both entities have been working on creating opportunities for Arab and Jewish youth to make music together while encouraging excellence in the field of classical music. The joint Program The Scholar in Residence Seminar aims at creating a highly meaningful shared musical experience for talented young Arab and Jewish musicians, believing that such safe and neutral environment will enable them to overcome long existing cultural barriers and discover how much they have in common rather than the widely common misconceptions and stereotypes.